So do you know your antioxidant from your infuser? It’s sipped by many; is often the secret ingredient in cosmetics; and is part of numerous traditional ceremonies. It’s tea. And it’s the most popular drink in the world (after water). It all started in China more than 4,000 years ago. The story goes that the Emperor of the day discovered it after some dried tea leaves flew into his cup and, well – the rest is history. So that you can be in the know here’s how to ‘talk green’. One of the best things about green tea is this compound that retards oxidation and suppresses ageing. Bet you can’t get enough of it now! Also known as the ‘nose’, aroma refers to the fabulous scent of the brewed green tea leaf. Has nothing to do with YOUR body and everything to do with a tea taster’s term for the strength and viscosity of a brewed green tea. The wonderful process of making green tea into a drink by adding boiling water and enjoying some time out from life while you wait for the tea to be ready. Hands up if you thought we were talking about a walk here. It’s a term used to describe the fresh and lively taste of green tea that is slightly astringent. The very small amount of alkaloid in green tea, which acts as a central nervous system stimulant and diuretic. Sounds interesting doesn’t it? It’s the type of Polyphenol found in green tea which function as antioxidants. We all know how important one’s character is. In green tea, it refers to a good taste or the characteristic of its origin. Been partying too much? Well this is the process, real or perceived, of removing toxins from the body and green tea is great at helping to purify your system and get you jumping again. The distinct taste sensation of green tea and an extension of character. No we’re not talking about a hand of cards or the art of pushing something down a drain! Flush, when spoken in green tea terms, refers to the four separate plucking seasons throughout the year, each known for its distinctive flavour. If you’re looking for a full bodied green tea then you’re looking for one that has a great taste and is full and strong. You could say gutsy! A fabulous green tea blended with roasted brown rice. Have you tried Two Rivers Genmaicha green tea? Briefly green tea is an un-oxidized, dried tea, mostly found in China and Japan. You can learn more about Two Rivers Green Tea, which is Australian grown, here. An amber coloured green tea that is aromatic and displays a smooth toasted flavour. Why not try Two Rivers Houjicha green tea now? If you just want a cup of tea and have no time to brew a pot then an infuser is what you need. You simply put loose leaf green tea in the infuser and then place it into hot water to steep. Sounds a bit like confusion but it’s referring to the release of the flavours after boiling water is poured on green tea leaves. The excellent feeling of ‘wow’ generated by the consumption of green tea. Or otherwise known as making one feel strong, healthy, and full of energy. The opposite of strong when it comes to green tea. If you prefer to steep your green tea for a short time then you prefer to have it ‘light’ and with very little depth of colour. This is a green tea ground into a fine powder. 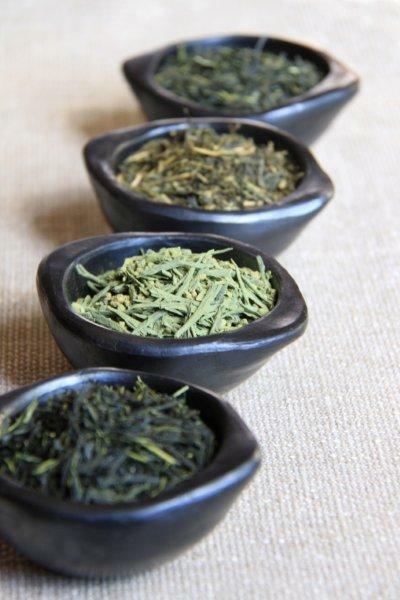 The aroma of the dry or brewed green tea leaf. Sometimes used to describe someone’s character but in this case we’re simply referring to the rustic, nut flavours of certain types of green tea like Two Rivers Genmaicha. Nothing to do with eyebrows and everything to do with the process of harvesting and collecting green tea leaves. Not a disease but antioxidant compounds present in green tea. Meaning it will give you new strength and energy. Another great feeling green tea offers! Remember doing that when you were small? Well leaves do it too and this describes the process where the withered Camellia sinensis leaves are rolled to initiate enzymic oxidation to create green tea. The most popular Japanese green tea. Have you tried Two Rivers Sencha green tea? Sometimes used to describe the male species but in this case it’s used to describe the texture of green tea – meaning it is not harsh or bitter. This is a process used in the manufacture of green tea. The tea leaves, through the evaporation of water, are ‘steamed’ – the vapour into which water is converted when heated, forming a white mist of minute water droplets in the air. This is a very healthy process as all goodness is retained. Japanese or Japanese styled teas are steamed and therefore healthier than the pan-fried Chinese green teas. Yes mountains and hills can be but when we say ’steep the tea’ we’re meaning let it sit for a little while and infuse to bring out the flavour. How do you like your tea? Really refers to strength, which really refers to how much oomph you’d like in your green tea. Generally, used to describe the potency or intensity of the green tea in terms of is it light or strong in colour and therefore flavour. Used to describe the processed leaves, or the infused green tea brewed from the processed leaves, of the Camellia sinensis plant. I’m a little teapot, short and stout… This is a pot with a handle, spout, and lid, in which tea is brewed and from which it is poured. Sometimes used for candles or pot plants but best used for tea. So much more refined than a mug. You haven’t lived until you have tried tea in a fine bone china tea cup. When the ingredients of green tea are cooked or browned which gives a ‘toasted’ flavour. The effect of happiness and hope inspired by drinking green tea. Suddenly, life looks better, your cheeks are rosey and you can just tell it’s going to be a good day.